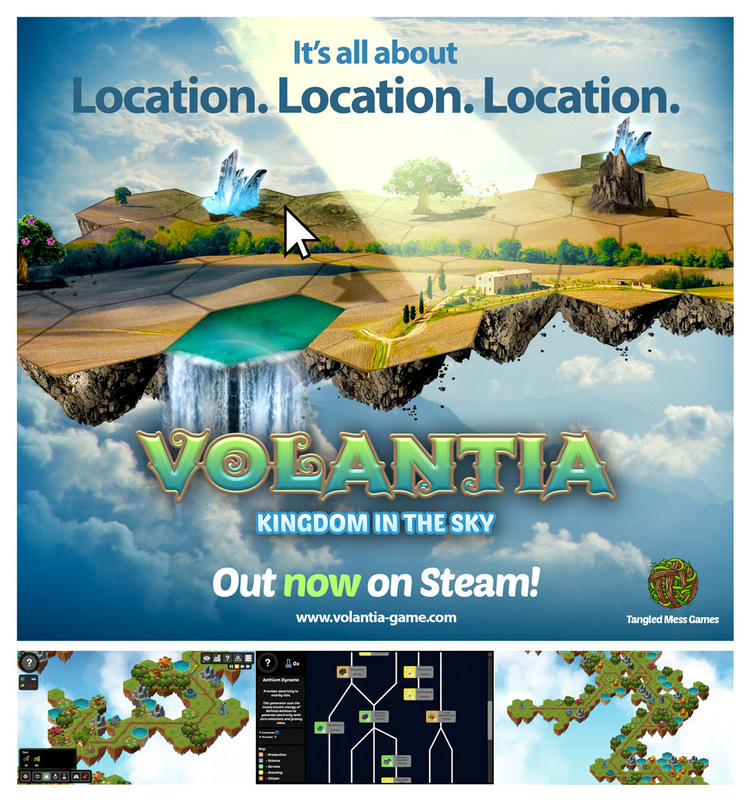 Volantia: Kingdom in the Sky was created by South African developers Tangled Mess Games and released on the popular PC platform Steam (Available right here). 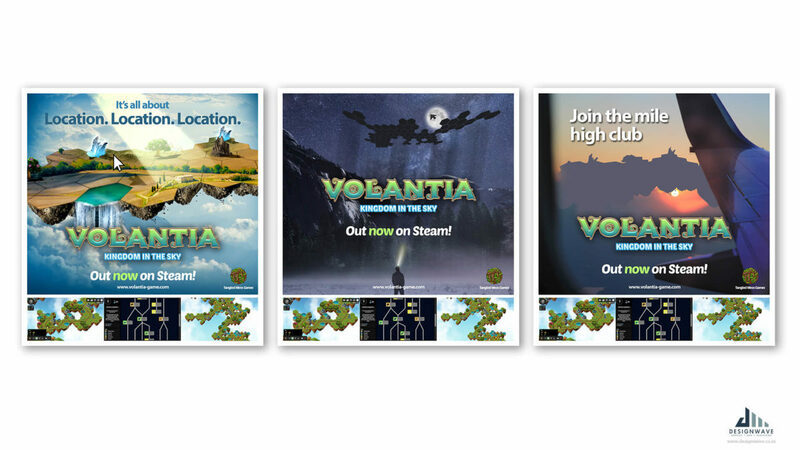 For this small limited run, 3 advertisements were created for use on social media and digital platforms. 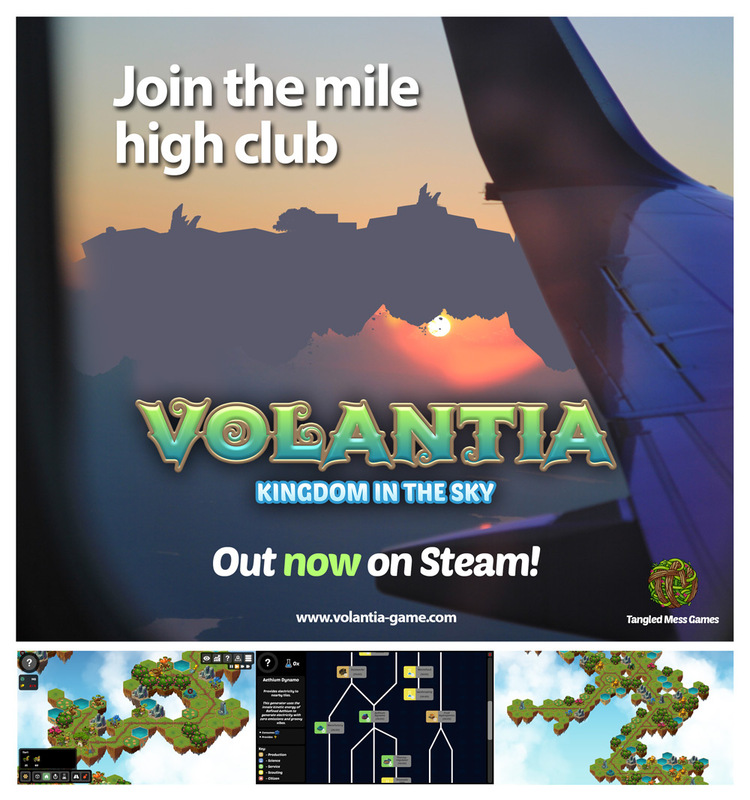 The adverts were designed to mimic old video game magazine adverts from the early 90s, with the large visual image above and the screenshots below. 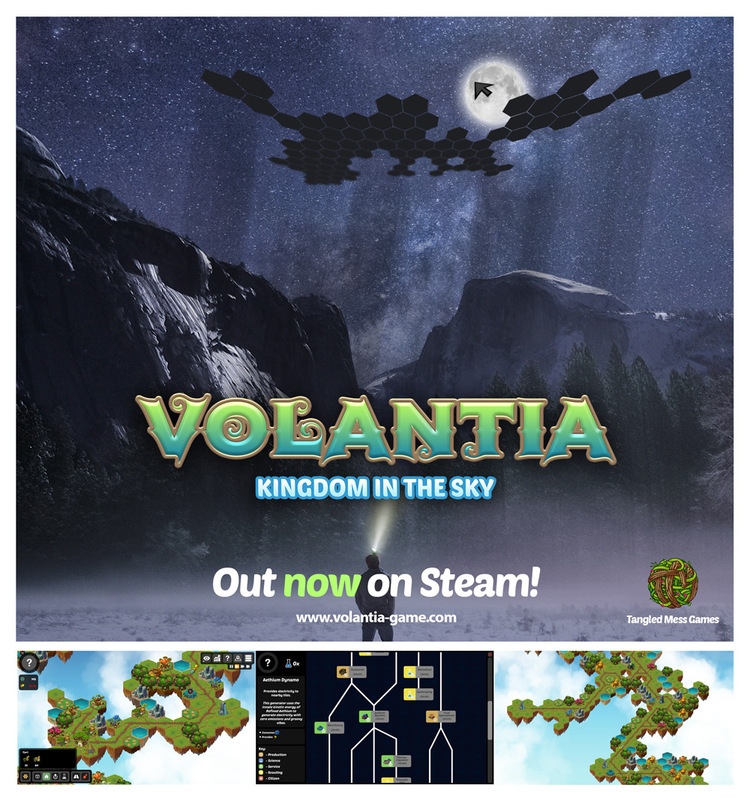 Digital manipulation was used heavily to create fantastical scenes for a fun more realistic version of the gameplay, or the concept of the player’s game being viewed from a realistic angle on or even above earth.